St.Alphonsas Educational Society was founded in the year 1979,by a group of dedicated christan educators of christan community, and a few likeminded persons. Dr.emmanuel, eminent educationist, being the chief founder. The original society got divided into two and St.Alphonsas Educational Development Society was formed. It is distinguished as a christan minority society. St.Alphonsas Educational Society is permitted to start a college of education to run B.Ed course with a ceiling of (160 ) students during the academic year 1987-88. 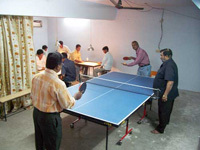 Our college is a co-educational, well disciplined institution, with highly experienced and qualified staff. At present the total number of seats - 160.